"Excellent doctors, they go above and beyond to help!" "Family owned practice that makes you feel like family." 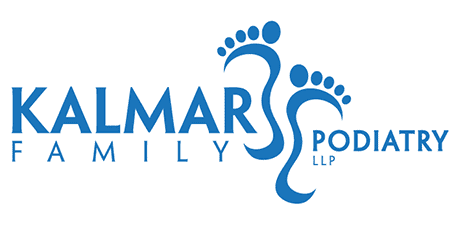 "Kalmar Family Podiatry is a top notch team of doctors with a super friendly staff..."
Kalmar Family Podiatry is a top-rated podiatry and podiatric surgery practice servicing the residents of Huntington, New York, and its surrounding communities. By providing its patients with the best foot and ankle treatments, as well as geriatric care, pediatric care, orthotics, and diabetic care, Kalmar Family Podiatry has developed a well-earned reputation as a trustworthy source of thorough solutions for all foot problems. The doctors at Kalmar Family Podiatry have over 30 years of combined experience in treating patients suffering from a wide range of foot and ankle conditions. With their excellent medical training, dedication to maintaining the highest levels of accreditation, and commitment to staying on the cutting edge of the latest developments in podiatry by pursuing ongoing education, the practice’s team of foot and ankle specialists are all at the top of their field. Patients are put first at Kalmar Family Podiatry. The team makes sure to fully explain all conditions and treatment options, ensuring that their patients are collaborators and informed decision-makers in the journey back to health. This allows the practice to devise a better and more customized healing plan based on the latest in effective and evidence-based procedures. The offices at Kalmar Family Podiatry are engineered to make the patient experience as convenient as possible. The staff is always friendly and accommodating and make sure to keep wait times short. They also offer same-day appointments and keep insurance claim submissions fully computerized and electronic for patient convenience. Kalmar Family Podiatry gets patients back on their feet and feeling great. Do you think your feet are getting flatter? Well, they probably are to some degree. Not all flat feet are painful or cause symptoms. Painful flat feet can be treated.